The University of South Brittany (UBS), through the Dupuy de Lôme Research Institute (IRDL), has developed research topics on the understanding of reinforcement mechanisms of polymers by flax fibres, for over 20 years. Thus, specific experimental protocols such as tensile testing of elementary fibres, micro-bond debonding tests, atomic force microscopy and nanoindentation measurements, stem observations and composite manufacturing have been developed, as well as commanding expertise in Life Cycle Analysis (LCA) and recyclability of biocomposites. In addition to the programme management, UBS will provide a strong scientific contribution based on its expertise in biocomposites. The IRDL scientific team will be particularly involved in the analysis of the fibre matrix interface, elementary flax fibre characterisation, recycling and LCA. The Biopolymers Interactions Assemblies Unit (BIA) is an historical un it of the French National Institute for Agronomic Researches (INRA). Located in Nantes, with 134 permanent staff and 30 PhD, BIA focuses its research projects to the sustainable transformation of agricultural resources and plant biomass, with a focus on bio-based composite materials design. The ‘Cell Wall and Biopolymer’ team belongs to BIA and benefits from several national and international programs, providing both an expertise and experiences in networking and project management. BIA expertise is essential for FLOWER to select the suitable flax fibres and also understand the fibre structure evolution all along the different process steps. The Advanced Materials & Manufacturing (AMM) Research Group is afflicted to the School of Mechanical and Design Engineering at the University of Portsmouth. The AMM Research Group undertakes a variety of research and development activities including composite fabrication, testing and characterisation. Through original research publications in composites and biocomposites and participation in international events, the AMM research group has an established track record in research and knowledge transfer activities nationally and internationally. AMM Research Group has well-equipped laboratories with a wide range of state-of-the-art facilities for R&D in advanced polymers and composite and biocomposite materials. Within the scope of FLOWER, the AMM Research group will be especially in charge of undertaking ageing and low velocity impact testing on the developed biocomposites due to its strong degree of expertise in these areas. For most of the FLOWER developments, especially flying boat and materials for point of sale advertising, understanding of ageing behaviour is crucial and needs specific investigations. In this, the Portsmouth team, in collaboration with end users, INRA, Cambridge, Kairos and UBS is responsible for environmental ageing to estimate the evolution of mechanical, fatigue and impact performances of materials throughout their life time. The Centre for Natural Material Innovation (CNMI) at the University of Cambridge draws experts from a number of disciplines, including the Department’s of Biochemistry, Plant Sciences, Chemistry, Architecture, and Applied Mathematics and Physics, to together solve both applied and fundamental challenges in the replacement of conventional building materials (concrete and steel) with low-embodied energy plant-based materials. The CNMI have a strong track record in across-the-scales research, which is a major asset for the FLOWER project: from molecular-level biomechanical analysis of plant cell walls, to polymer impregnation of cells, to design and testing of macro-scale composites. Specific to the FLOWER project, the Centre will bring expertise in the development of optimised flax reinforcements and composites for structural applications of the project (e.g. JEC Asia 2012 Innovation award for world’s first flax composite wind turbine blade). Apart from contributions in project management, communication and dissemination, the Centre will be a key member of the manufacturing process (monitoring of liquid impregnation) and prototype development team, as well as monitoring composite health through advanced imaging techniques such as tomography. As part of FLOWER, Dr Darshil Shah (CNMI) and Dr Alain Bourmaud and Prof Christoph Baley (UBS) will co-supervise PhD candidate, Delphin Pantaloni. Europe’s leading private flax producer, Teillage Vandecandelaère operates approximately 8000 ha of farmland in Normandy, and uses all the cultivated crop for various products: long fibres, short fibres, shives and seeds. An integrated processing unit allows it to produce rovings and woven reinforcements using fibres harvested from dedicated crops. These semi-finished products can also be commingled or pre-impregnated with thermoplastic or thermosetting resins. 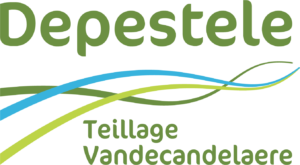 Teillage Vandecandelaère integrates physiochemical fibre treatments that substantially improve the impregnation capability and the mechanical performances of its products, as well as accurate finite element simulations for the design of composite parts. During the FLOWER project, Teillage Vandecandelaère will take part in several actions: • Provide dedicated flax fibres to achieve required performances • Provide the selected fibres to EcoTechnilin for the development of light non-woven fabrics • Develop non-crimp fabrics and woven grids • Participate in optimising the fibre/matrix interface by using specific fibre treatment methods • Participate in the finite element design of the demonstrator structure for the naval and automotive sectors • Participate in communication actions at international composite trade shows and exhibitions (JEC, CAMX and Composite Europe). EcoTechnilin is a Norman company specialised in the production of composite reinforcements made of natural fibres. They mainly produce nonwoven felts (about 1000t/year) for the automotive industry (interior parts) and dyr and pre-impregnated reinforcements for technical applications such as sport and leisure, design furniture and transport. EcoTechnilin now belongs to the norman agricultural cooperative group Capseine which comprises of 5400 producers, 3800 members and 1 148 employees on 180 sites. For 2017, they generate a turnover close to 1 billion euros. Since 2011, to improve their knowledge, and to offer new innovative products to the automotive industry, EcoTechnilin created a research and development unit. Thanks to close relationships with suppliers, clients and research laboratories, the company has acquired strong know-how in biocomposite processing, as well as transformation of natural fibres into nonwovens. EcoTechnilin has also broadened FLOWER’s range of accessible markets by developing new light products for the building and naval industries. FLOWER would allow EcoTechnilin to pursue this innovation strategy by developing light-weight product that could be used by both the automotive and naval industries. By collaborating with the flax supplier (Teillage Vandecandelaère), parts makers (Howa-Tramico and Kaïros) and research laboratories, EcoTechnilin will produce light-weight nonwovens preserving the full potential of the reinforcing fibres. This new reinforcement will allow weight savings and improved mechanical performance, helping the industries to offer enhanced solutions that promote the uptake of natural fibres in the composites industry. Kaïros Company supports manufacturers in all industries to integrate green materials and biocomposites in their products. Reducing environmental impact and innovation through high-performance biocomposite materials is at the heart of Kaïros’ eco-design approach. To fulfil sustainability requirements, Kaïros has put a strong emphasis on biocomposites materials. Through FLOWER, Kaïros aims to integrate lightweight flax reinforcements with optimized architectures, including non-woven and biaxial reinforcements completely free of twist and crimp. For Kaïros, these developments are crucial to improve both the stiffness/weight ratio and the environmental impact of its products. Thanks to the strong academic and industrial expertise in the FLOWER consortium, Kaïros expects to 1) design biodegradable materials for point-of-sale advertising offering different end-of-life possibilities (composting, recylcing, energy recovery) and 2) build a hydrofoil sailing yacht demonstrator, enabling a reduction in drag and allowing greater speeds. So far, biocomposite materials have not been considered for these advanced hydrofoils (typically made from carbon materials). Kaïros has already integrated flax in boats and now aims to fly with it through the FLOWER project. By participating in this project, Kaïros aims to create new knowledge on the use of flax materials and the benefits of the developed flax reinforcements to strongly increase the quality and environmental footprint of its products. The main activity of Howa-Tramico is to produce flexible polyurethane foams by a continuous manufacturing process. The various qualities of ether and ester foams produced are used in the building, industrial and automotive sectors. The Brionne site gathers a foam and an automotive divisions. For the automotive division, Howa-Tramico is ranked as a tier 1 supplier for the main manufacturers of the following products: headlining (interior trim), engine insulation (sound-proofing function) and roof insulation (sound-proofing function). The main customers of Howa-Tramico are PSA, Renault-Nissan, GM, VW or Mitsubishi. The average volume production of linings is about 6,000 per day. In the FLOWER project, the objective of Howa-Tramico is to provide innovations in this range of products by improving the product-process matrix. Thanks to the collaboration with the academic partners, EcoTechnilin and Teillage Vandecandelaère, innovative flax reinforcements will be integrated in the company’s products. This evolution in product/process will lead to an improvement in working conditions, as well as reduce prices, environmental impacts and component weight. Présentation du projet @FLOWER_interreg et de nos partenaires dans ce livret proposé par #Agrobiobase, merci @PoleIAR et @wearelinen ! Profitez de la nouvelle édition du Livret « Les produits biosourcés appliqués aux composites » publié sur l'Agrobiobase, vitrine internationale des produits biosourcés !